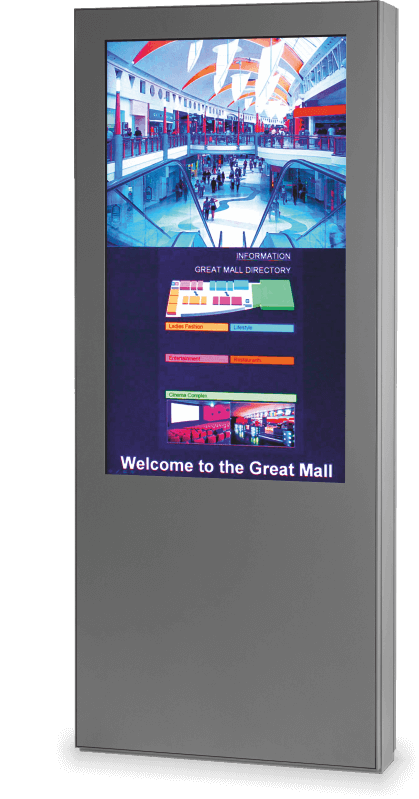 With the digitalization of media portfolios via HD screens, entirely new opportunities are created for businesses to present their entire product range with one medium directly at the point-of-sale. Premium quality monitors are integrated into an elegant stele. The glass front is available with a ceramic print in virtually any colour. The glass front's gloss gives the stele a particular shine and a premium look. An invisible locking mechanism and concealed hinges emphasize attention to detail and a high level of quality.